More Than 100 Lawrence Welk Biographies! Lawrence Welk was born in Strasburg, North Dakota. By the age of 13, he had learned to play the accordion well enough to play in church socials. Welk formed his first orchestra in 1927 in Aberdeen, North Dakota and was invited to play on opening day for radio station WNAX of Yankton, South Dakota. Welk continued to play on WNAX for the next six years while maintaining a busy travel schedule performing one night stands across the Midwest during the 1930's. 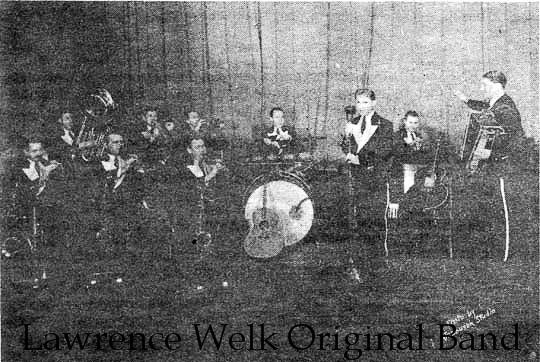 In 1939, the Welk Orchestra went national after getting hired to perform at the Trianon Ballroom in Chicago, IL. 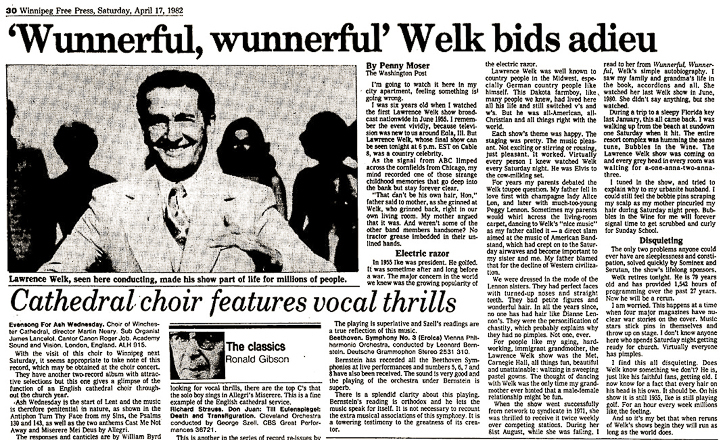 In 1951, Welk moved to California and signed on to perform at the Aragon Ballroom in Santa Monica, a place he would call home for the next ten years. In 1953, Welk began appearing on local television before begin picked up nationally by ABC in 1955. After ABC cancelled the show in 1972, Welk sydnicated it to an even broader audience until finally retiring in 1982. Lawrence Welk had more records on Billboard magazine weekly Top 100 chart than any other big band during the rock and roll era. From 1960 through 1965, his band had twelve charted records. The three biggest sellers were 'Last Date' (11 weeks on the charts- peak #21), 'Baby Elephant Walk' (16 weeks on charts - peak #48) and 'Calcutta' (17 weeks on charts - peak #1 for 2 weeks). Re-runs of The Lawrence Welk show and reunion specials have been shown on public televsion stations since 1987. More recently, The Lawrence Welk Champagne Theater at the Welk Resort Branson was built in Branson, Missouri which hosts concerts throughout the year.